alaTest has collected and analyzed 351 reviews of Samsung UE32J4500 Series. The average rating for this product is 4.4/5, compared to an average rating of 4.3/5 for other products in the same category for all reviews. We analyzed user and expert ratings, product age and more factors. Compared to other products in the same category the Samsung UE32J4500 Series is awarded an overall alaScore™ of 89/100 = Very good quality. 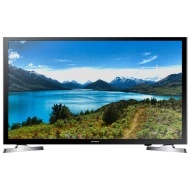 alaTest has collected and analyzed 10 user reviews of Samsung UE32J4500 Series from Amazon.co.uk. The average user rating for this product is 3.5/5, compared to an average user rating of 4.3/5 for other products in the same category on Amazon.co.uk. I'm very happy with the picture quality. It has all the features I want and I got it a bargain price. I use it a lot with my iPhone and love the ease of operation. Inexpensive , Realistic color , Bright display , Built-in speakers , Durable , Lightweight , easy operation. none to add. i'm happy with my purchase. Low price, great apps, easy to use. Easy setup and nice picture. Overall, a really sound deal. My first smart tv and it is amazing, looking forward to learning how to use it more efficient. Thanks Samsung. This product has great color!!! I like watching movies and the color on my Samsung t.v. is great! This is a great starter smart tv, it is a good value, and you still get a lot of features, would recommend this product to anyone. Relatively inexpensive supplemental alternative for TV viewing and internet access. Setup was painless and factory settings required little or no adjustments. It's a good product, still learning how to use it, and have come across some complications, but getting the hang of it.